The first true analog drum machine for 2011 and beyond! 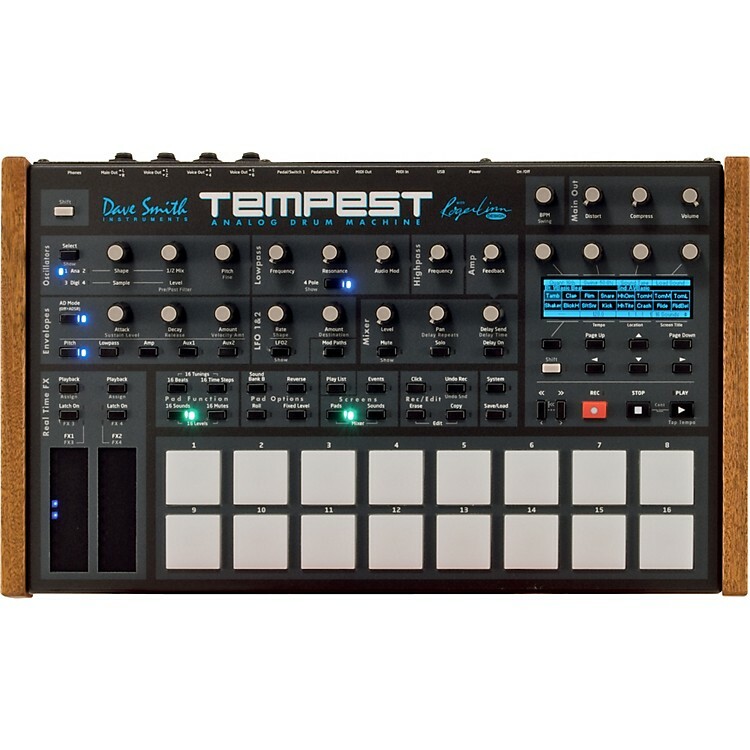 The Tempest by Dave Smith Instruments combines authentic analog and digital synthesis with an intuitive interface, 16 velocity/pressure-sensitive pads, and a powerful sequencer. It's an instrument clearly meant to extend the capabilities and expand the imaginative reach of beat-oriented musicians everywhere. Now it comes with a new operating system for as well as entirely new internal sounds, beats, and projects. The new version, OS 1.4, ships with newly purchased instruments and is also available for download from the company's website for users wishing to upgrade instruments with older versions of the OS. Co-developed by Dave Smith and noted instrument designer Roger Linn, Tempest has been embraced by musicians from a wide range of genres for both live performance and studio recording. "The new OS adds several powerful new features to an already powerful instrument," said Smith. "And we've enlisted the talents of some heavy-hitting sound and beat designers to come up with a extensive amount of new content that's not only fresh and inspiring, but also versatile." The new content takes advantage of the new OS features and was over a year in the making. The fat sounds of the past meet the digital future.